DBSK/Tohoshinki Lovers Forum Blog | A simple wish to share a simple story became a wonderful gift. 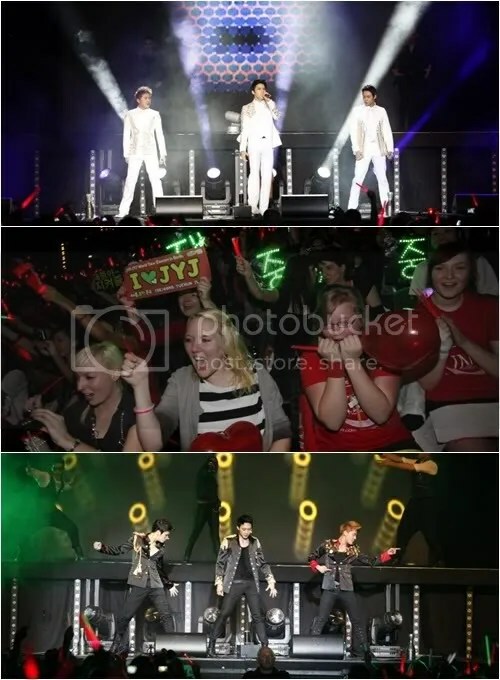 . .
Group JYJ (Jaejoong, Yoochun, Junsu) have moved on from Spain to take over Germany. On the night of 6 November, in the Tempodrom, over 3,000 fans were gathered and cheering loudly for an encore. JYJ performed a total of 15 songs for the two-hour concert and ended their European tour in success with their concert in Berlin, Germany after becoming the first Korean singers to hold a solo concert in Spain. The reception they received in Berlin was through the roof. The ticket reservation site’s server crashed as soon as it opened in October and the tickets sold out on the same day. To match this excitement, fans were seen gathering four hours before the concert to stand in line and wait to enter the concert venue. Amidst the passionate cheers, JYJ gave an amazing performance. Showcasing their slick dance moves for ‘Empty’ and ‘Ayyy Girl’, JYJ showed off their powerful vocals with ‘In Heaven’ and ‘Get Out’, leaving their European fans deeply moved by their talent. 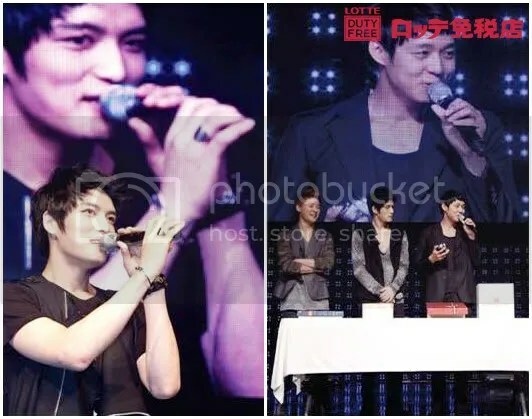 After the concert, a portion of the fans could not help but cry, and even stood in front of the concert hall, singing JYJ’s hit songs, showing their unwillingness to leave. 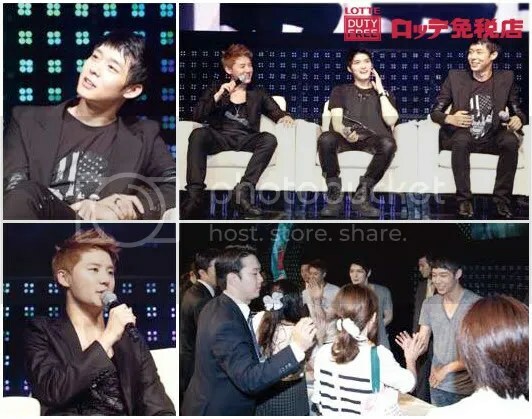 JYJ’s European concerts started after their 10 country tour that kicked off in 2011. JYJ’s decision to hold concerts in slightly foreign cities is meaningful, and shows their courage to take up the challenge of getting more people to know about their music. As Changmin was accepting the interview, his hand was circling the props used for the photo shoot when it came a halt at a small beach photo. Then, he smiled and starts to talk. Changmin: Recently, I’m troubled. After we became a duo, the pressure from the surroundings towards our relationship is huge! (laughs) Of course our relationship has been good since we debuted for 8 years. Since the day we’ve met, we have been in close interactions for the past 10 years and we are able to know what the other party is thinking just by seeing his expressions. The photo shooting for this (pictorial album) is as always, “Here, shall we take an intimate shot?”, “Stand close to each other.” In fact, that is how our good relationship are ‘displayed’, isn’t it awkward? Especially when my personality is not like that. But our good relationship are being displayed in this way, fans would be happy too thus it’s good. We are not in such a superficial relationship. On the contrary, it seems intentional if were to show everyone deliberately. That’s not our usual selves. It’s because we are living together thus isn’t it weird if we did all these (T/N: intimate photo shoot poses) in our daily lives? However during the photo shooting of this pictorial book, I experienced the sense of liberation in traveling and was able to laugh to my heart’s content at the beach. I accidentally discovered an expression of Yunho which I don’t know. It was interesting. When asked what expression was that, Changmin replied “The shower scene” and burst out laughing. Speaking of Yunho, he was always being labeled with “passionate man”. Was there an other side of him to this? Changmin: I used to tell Yunho, “Isn’t it better to lift some burden off your shoulders?” But I know it’s useless (to tell him that). (laughs) He really has always been too serious. But this is how Yunho is and I acknowledged this. Friendship is not built as you like it. It’s the sharing of time and experiences, and the further understanding it. As for me, I have two sides to my personality. Saying it myself, I’m impatient and shy. I will neither trust the other party easily without any in-depth interactions nor pour my heart out to him/her. Staff said, “Kind of aloof way of cherishing own time and space, very troublesome and very stubborn. Indeed a typical B blood type.” (laughs) Right now I am moving forward on the same route as Yunho and our values are the same, though other aspects are totally different. Indeed in the past towards Yunho’s words or actions, I would always be saying, “Ah! Why was it like this?”, “I don’t understand (him).” But, since when did I start thinking about giving way (to him) at times like this? (laughs) Yunho is the same towards me too. Whenever I was outspoken with my personality, he would initiate to give way to me. We have this well-balanced mutual agreement. Thus I am in a good mood. The same question about relationship changes was posed to Yunho again. Yunho: Thinking upon it now, Changmin might have endured a lot in the past as the youngest. 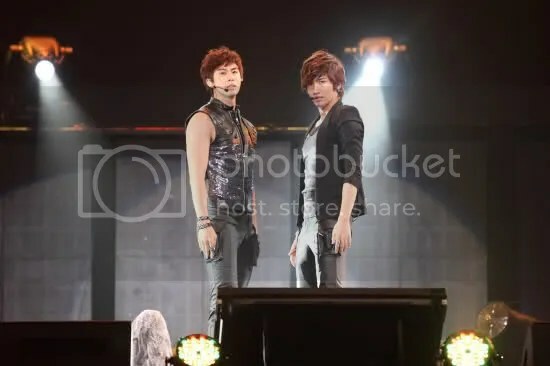 Actually, during our debut, I interacted the least with Changmin. As a leader I need to prepare a lot of other stuffs. I have to be stricter to myself, compared to now. Compared with the members, I have to take charge of the whole situation, I have to lead the whole group into working hard, that is. The time spent one-to-one with Changmin was not much. 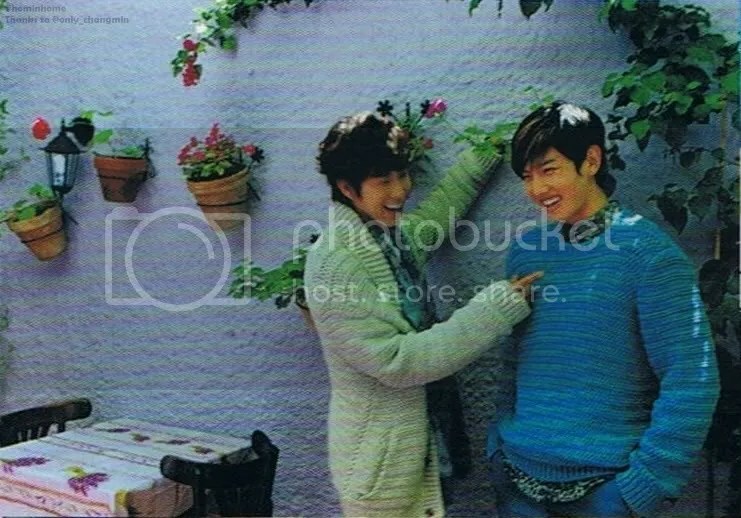 I am cheerful and enthusiastic but Changmin is careful and cautious. Whenever I see him like this, I would be thinking, “Is he alright?” Previously we were like older and younger brothers, then slowly becoming friends and now its as though we are (same-level) close friends. In the past, whenever I find him weird, I would ask, “What happened?” Now I don’t have to say anything and I would understand, “Since it’s Changmin, he would be fine”, trust like this and 100% dependable. It felt as though I gained an older brother. Especially after we became a duo, we often engaged in talks. The parts where we don’t understand in the past, it was fully understood now. Understanding each other very well because our personalities are completely 180 degrees different. To attain the balance between such total difference is not easy and it was not due to any coincidences, it was slowly formed through the time spent together. Me? I love to joke around but in actual, I’m the loneliest. Because of loneliness, I love to be in groups and in bustle. Changmin knew this side of me and the way we are mutual understanding and complementing each other now, it’s really is a treasure. From my previous position, I was the aggressive leader. Embarking on this road with Changmin, I have some free time and lifted off burden in goodwill. As expected, I am a human being, it’s exhausting to always be working hard. (laughs) Perfecting myself, judge objectively and to remember to meticulously observe the surroundings… It’s not that our relationship changes, it’s just my evolvement towards being a man who possessed more than just passion. Tohoshinki’s Changmin, following Yunho, has achieved a great feat as an actor. 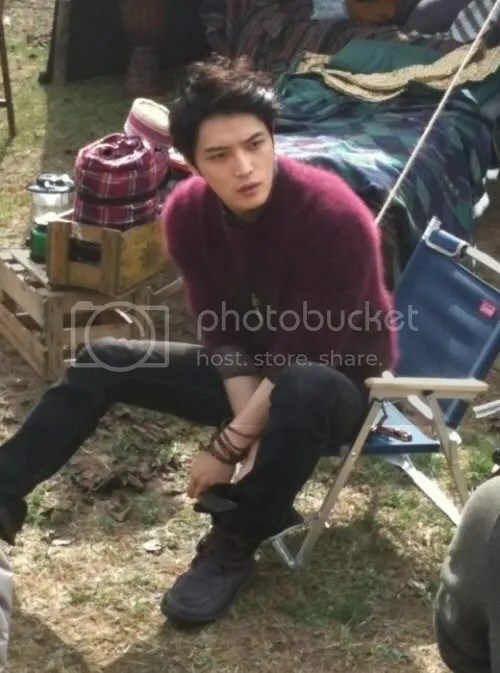 His first starring role in a Korean drama, “Paradise Ranch Full Version DVD BOX I” and “Paradise Ranch Full Version DVD BOX II” (On sale 2 November, released by Avex Entertainment, registered initial sales of 9,571 copies and 9,504 copies respectively, taking the No. 1 and No. 2 spots on the Oricon weekly DVD ranking chart drama category (No. 4 & No. 5 in the overall category), for the week ending 14 November. On the week ending 28 June, Tohoshinki had already taken the top 2 spots in the same category with group leader Yunho’s drama “No Limit~Heading To The Ground~ Full Version DVD Box I” and “No Limit~Heading To The Ground~ Full Version DVD Box II” (No. 2 & No.3 in the overall category,) both members achieving top positions in the drama category, as actors. In the Oricon Weekly DVD Rankings (Week ending 14 November) no.3 position was taken by 2PM’s live DVD “1st JAPAN TOUR 2011 “Take off” in MAKUHARI MESSE” which saw initial sales of 10.000 copies, exceeding the highest record of 4th place set by their previous DVD “Hottest～2PM 1st MUSIC VIDEO COLLECTION & The History～” (On sale 24 November 2010).